“I can and I will”– Here’s the story of a woman who believed that nothing was impossible if one had put his or heart to it. She’ll remain an inspiration to generations of hospitality professionals for her exceptional work and life. If ever there was a woman in the hospitality industry who consistently re-created herself and pushed towards excellence; it would be Ms. Bachi Daruwala (1932-1988) who dedicated decades of her professional life to the Taj, empowering herself and others by creating opportunities for growth. 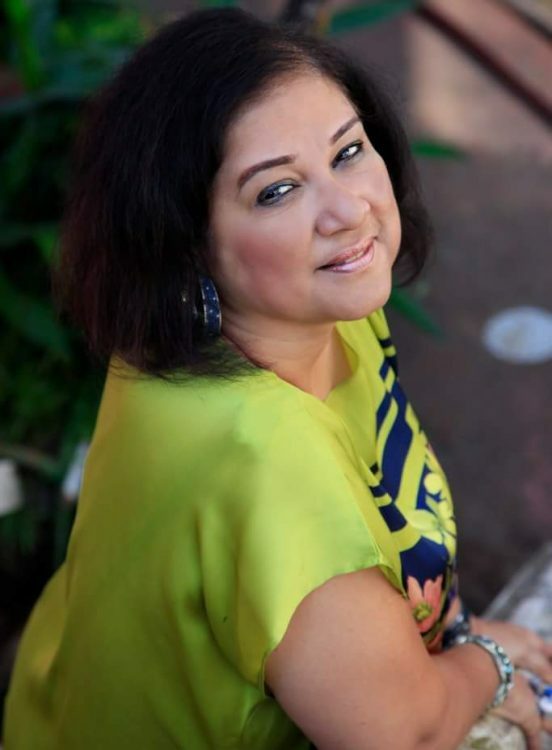 She started as an executive secretary at the Taj Hotels and was among the first to push the profession, one predominantly held by women stuck in a back office, into the limelight. 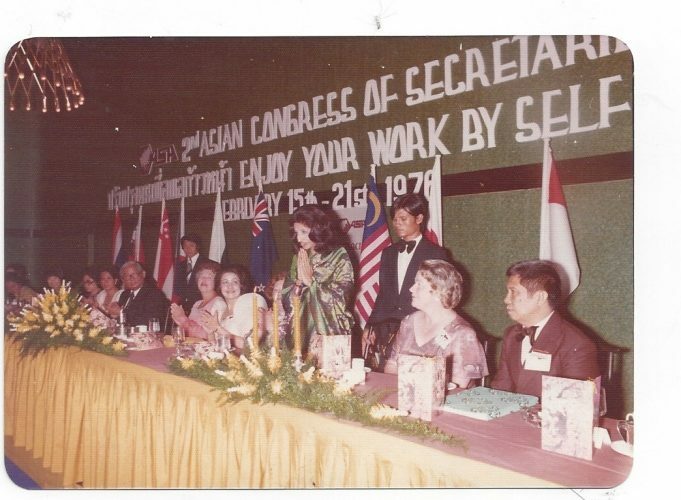 She not only represented the secretaries at Taj but in fact all secretaries in India at the Asian Conference of Professional Secretaries in the Philippines in 1976. She brought clout and prominence to the role played by secretaries in the smooth functioning of the industry. She soon realized how skilled she was at public relations and created a role for herself as VIP Coordinator. She was the iconic first face many dignitaries and celebrities from around the globe met and interacted with when they arrived at the Taj. She re-invented what came to be known as the Taj Touch or the white glove experience that was synonymous with Taj hospitality. 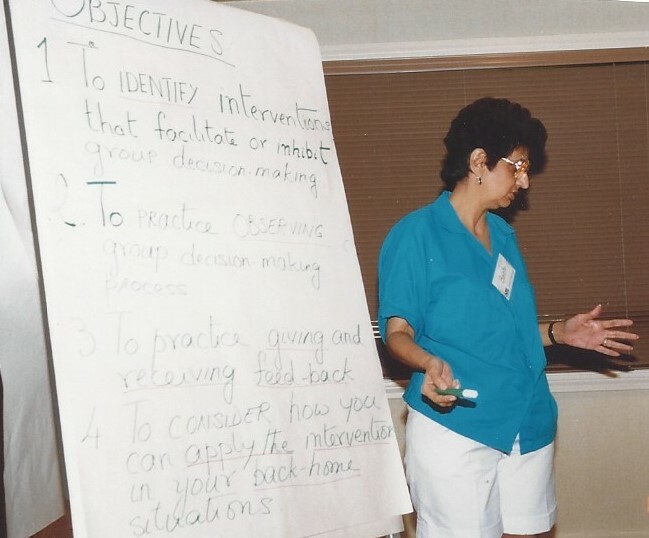 Ms. Daruwala knew right from the start that if the entire organization was to continue to provide service that went above-and-beyond, everyone in the organization needed to be trained with an eye towards detailed and meticulous service. She once again switched roles and took on the task of leading the company’s training and development. In this capacity, she lead regular training seminars and hands-on sessions for all staff — from perfection in making a well-folded bed to bringing in top chefs from around the world to collaborate with kitchen staff. She introduced the professional staff and executives at Taj to a variety of organizational behavior and development concepts and paved the way for excellence in management.It is said that the mind once stretched by a new idea never returns to its original dimensions. She was among the most forward-thinking and gutsy women in the industry. Liked by many and respected by all, she lead the way for so many women and men at the hotel to find their path, shine, and succeed in their chosen endeavours. She was truly exceptional and loved by all. Ms. Zaver Sepoy who worked with her says, “I had the honour of working with Ms. Daruwala who was a wonderful human being. So kind yet so much in command, I can see those qualities in her children and I can say that she’d have been proud to see them.” Her work and dedication was missed at the Taj. Ms. Vandana Rajan another colleague of hers adds, “I was truly fortunate to have started my career working with Bachi and I learnt a lot from her. Even now I try to practice her work ethics in the way I handle my work and to this day I am still in awe of her efficiency. Bachi was an amazing person”. Bachi Burjorji Batliwala was born to Mrs. Pilu and Mr. Burjorji Batliwala. She did her schooling from the Dastur School in Poona. She was a Girl Guide during her school days, was selected to go to Delhi to participate in an Independence Day parade. She was also chosen to deliver a speech at the post event function. There she met Mr. Jawaharlal Nehru, Ms. Vijaylaxmi Pandit and Ms. Indira Gandhi, she took their autographs a tiny book that she cherished as a prized possession. At the age of 17 she would ride her uncle’s 400 cc Norton motorcycle on the quiet streets of Poona, believing in the fact that there was nothing a man could do that a woman could not. Her father Mr. Burjorji Batliwala, was an avid photographer. But his favourite hobby was crocheting and seeing this she also believed that there was nothing a man shouldn’t do that only a woman usually did. Speaks so much about the conditioning and thought processes that she developed as a young lady. The one piece of advice she gave freely was, “Do whatever you want to do in life, be a barber if you must, but strive to be the best at it”. Success to her was not a measure of how much money you made but by your skill and moral character. Her extreme kindness and generosity to all was ingrained in her by examples of her grandfather the philanthropist Khan Bahadur Ardeshir Hormusji Mama of Karachi. From April 1974 to May 1976 she served as the President of NIPS (National Institute of Personal Secretaries). In 1976 she led a delegation to the 2nd Congress of Secretaries in Asia, in Bangkok. At the time she was working at the Taj Mahal Hotel as a secretary to Mr. Ajit Kerkar. Some years later she was promoted as the VIP coordinator for the hotel. In her late 40’s she decided to go back to studying and earned an MA degree by correspondence from the Osmania University. After this she joined the HR & Manpower team at the Taj as Training Coordinator, working alongside her colleagues Mr.V. 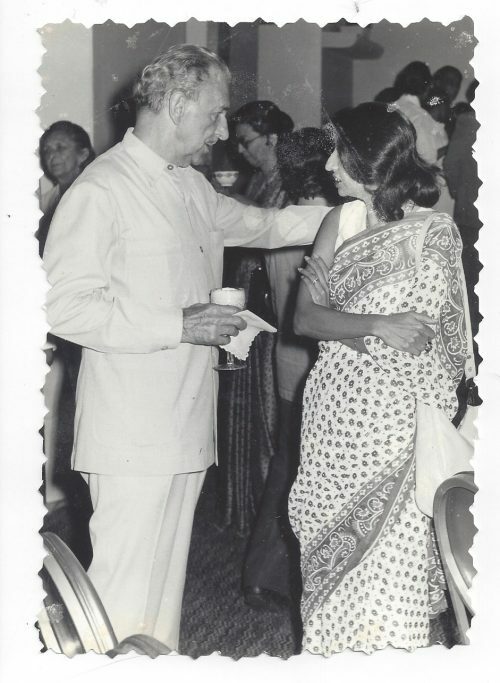 Mahesh and Ms. Ramola Mahajani. 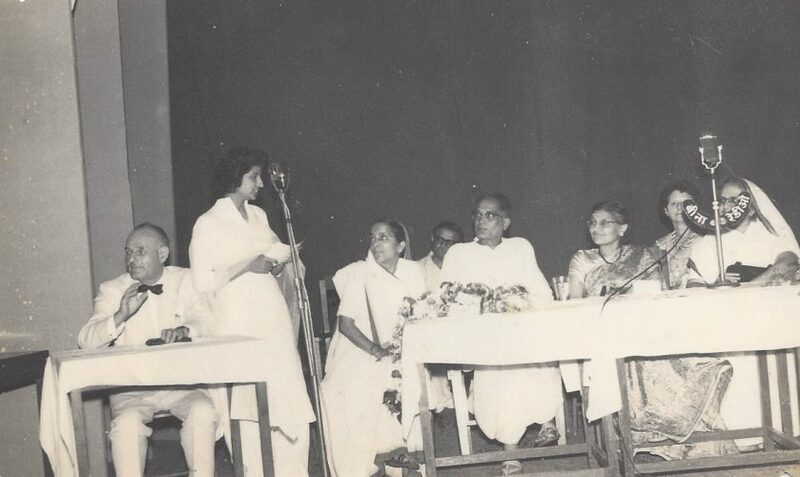 She did a very basic school education in Pune and came to Bombay (Mumbai) to study secretarial services — basic typing and short-hand dictation. She did not receive any formal advanced education, she was self taught and always tried to read up on new ideas and learn from them. It was in Bombay that she met and married Mr. Noshir Daruwala (NBD). They both served many years at the Taj. Back in those days, Ms. Bachi Daruwala, Ms.Elizabeth Kerkar, and Ms. Mona Chawla became a trio of women who supported each other and paved the way for other women to thrive and succeed. They lead by examples and were crusaders of empowerment. Ms. Bachi and Mr. Noshir Daruwala have two children – a son Pallon and daughter Nilloufer (Nikki). I am grateful to them for sharing with me some facts and insights from their mother Ms. Bachi Daruwala’s life. Also, a few valuable pictures that they allowed me to use in this story. This is a tribute to her and the legacy that she has left behind. I am extremely honoured to have been able to cover a few aspects of her life. – 1976 when she represented Taj and India at the Asia Conference of Secretaries. – 1988 (the year she died) with her close friend Liz Kerkar of Taj. – Delivering a speech at the Scouts and Guides meet at New Delhi. More kudos to you Mrs Bachi Daruwala!